Within a few years the European Union will be enlarged from fifteen to twenty-eight member states, including Turkey. Cultural Overstretch investigates whether the new countries culturally fit into the European Union. Interpreting the European treaties and the European Law, Gerhards describes in a first step what he calls 'The value script of the European Union'. Using survey data from twenty-eight countries the author examines in a second step whether citizens support the value script of the European Union and whether there are significant differences between old and new member states and candidate countries. 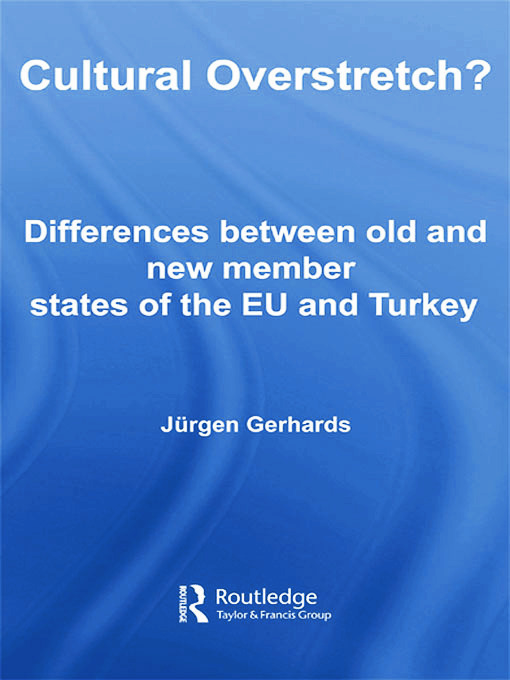 The book also highlights cultural differences by referring to modernization theory and forecasts in the concluding chapter the political consequences of a possible cultural overstretch of the European Union.